Hey, you guys! Yeah, I'm talking to you. Valentine's Day is a week away and you don't want to be stuck ducking into the 7 Eleven to buy a cheap box of chocolates. Let me suggest a Galaxy S3 case for her Samsung phone. She'll enjoy showing off your gift long after the roses her friends received have wilted. 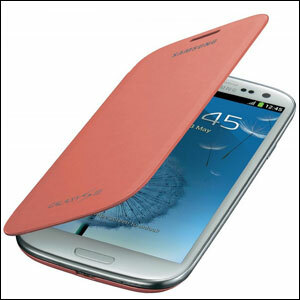 I had the opportunity to review the official pink flip cover for the S3 from Samsung. I am electronically-challenged so I had to get tech support to figure out how to put the case on (tip: remove the original battery cover). My phone looks like it got a makeover, LOL! The pink color makes the bold statement...my phone is an extension of my fashion style. I also like that the cover maintains the phone's slim profile and lightweight feel. Plus, the flip cover provides protection for the touchscreen. You get style and security for $39.99 retail! Order a Galaxy S3 case for your sweetheart, she'll love your for it! Come back February 7-14th for your chance to win one in the Forget Me Nots Giveaway Hop! I love the fact that you mention it keeps the slim feel of the phone - it's what I really like about my S3 but don't want to add extra bulk. Good point! I love how slim the case is- it also looks incredibly durable, yet chic! I have an S2. I wonder if they make these to fit an S2 as well? Nice cover. Would not work with my phone. Can't wait to upgrade. This is so cool! I love the color and the slimness of it! I love that cover, color and all! I absolutely love my Samsung phone! That's fabulous! Just what I've been looking for!!! 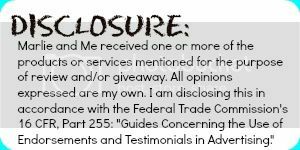 Got my fingers crossed for the giveaway! Do you buy them via Samsung website? I really like the pink color! I agree if you are going to get any sort of cover or case for your phone it should make it so that it is not only durable but more your style. You're right. This would be a perfect Valentine's Day gift! I wish my phone had a cover option that included a front cover. I'm so afraid to stash it in my bag! My Husband need a hard shell over his cause he drops it so much! This case is beautiful. I don't have a cell phone I just use my husbands and I am sure he would kill me if I put a pink case on it lol.